over the mountain in search of the nudist camp. Solo-Suzuki, Locket, me and the rest of the small troop followed Hiney through what passed for a trail skirting the swamp end of Wildcat Lake, trudging up the side of a mountain in search of the nudist camp just over the hill from our scout camp. 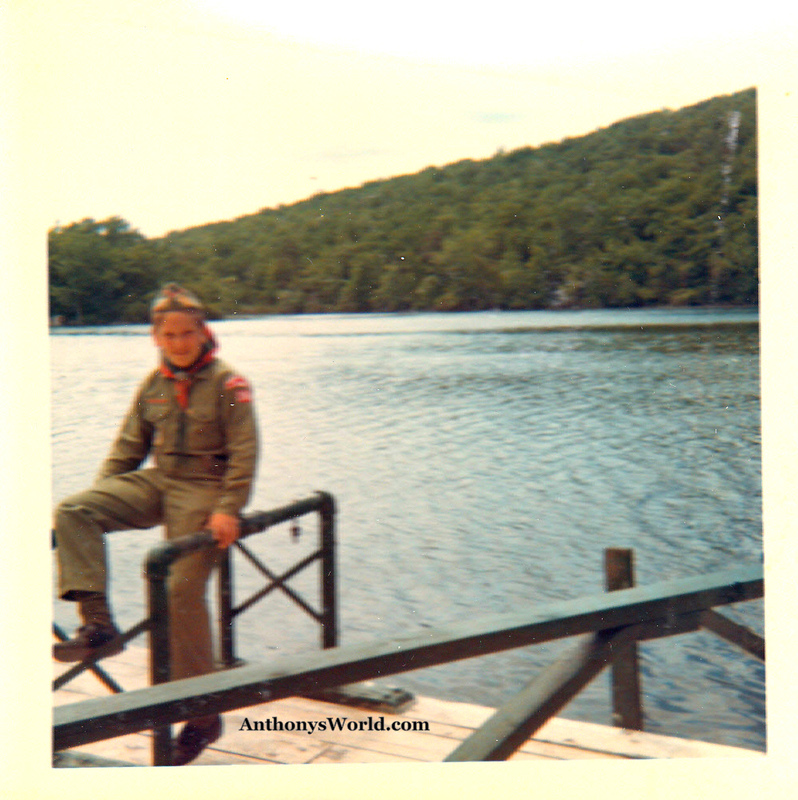 Hiney knew from other scouts that if we went over the mountain we'd find a road and from that road it was a short walk to the nudist camp somewhere near Blairstown, where anything could happen to pubescent boys. This was the second week of our stay. First week of summer camp was typical scout stuff. The nature trail had several different kinds of pine trees you could determine by the number of needles in a bud. You followed a colored plate on the tree and that kept you on a trail. A counselor would explain what you were looking at. "It's much more than a tree, it's an evergreen pine tree," and such. Mornings were spent making lanyards out of leather or carving neckerchief holders into Indian heads or arrows, the kinds of artwork that make a Charlie Brown Christmas tree a family treasure. Afternoons left time to swim in the lake. If you didn't swim, you had to learn before camp ended. You got to practice your swimming in the crib. It was a dock with a floor and resembled a wooden built-in pool at the edge of the lake. To prove you could swim, you had to do a couple of laps in the crib without stopping. Then the real proof came when you jumped in the lake, into water over your head, and swam around. Our scoutmaster said that if we didn't learn how to swim after the first week, he'd paint our nose red with mercurochrome. I knew there would be one kid who would never jump in water over his head no matter how many weeks he was at camp. At night we sang songs at a bonfire alongside the lake and heard Taps played from the turret at 9:45. Some of us listened to WMCA or WABC on a transistor radio for news of far away New York. Other days we learned how to left-face, right-face and about face as part of our paramilitary training. We could take a row boat out if we could swim. I fished from the shore. But most of us were there for the fun of living in tents in the woods and watching campfires and learning to live off the land. If you showed excellence you might be invited to the Jamboree to show off your stuff. That second week our regular scoutmaster went back to work and we had a fill-in. So, one morning after breakfast our troop packed up and followed Hiney, our Explorer, heading west past the swamp end of Wildcat Lake, over the mountain in search of the nudist camp. By Tuesday morning, it didn't bother me when strange campers asked me about my red nose. "I got a bloody nose." Nobody along for our hike mentioned my nose, but I could tell every once in a while someone would be looking over at me. Maybe one kid with a red nose would mess up our chances at the nudist camp? Hiney did a good job getting us over the mountain and at the bottom of the woods we found a blacktop road and headed south. It was already getting hot and we felt like we had gone very far. The map showed a creek off to the west and we headed through a farmer's field. We got to the river and although it wasn't a huge wide river, it might as well have been. And anyway, none of us had brought along swim trunks. Who would think to bring swim trunks to a nudist colony? Some of us stripped down (everyone but me) and jumped in the water, swimming and splashing. I needed to be persuaded to strip to my briefs and wade in. All I could think of was those cartoons where the animated character is drowning and each time he comes up for one last breath, he counts one, two, or three and meanwhile sees all the events of his life passing before his eyes. When I suddenly stepped off bottom into deep water, the world went strangely quiet and I tried to hold up one finger for ONE! I should have thrashed and screamed and called out. Instead, I went down a second time. My nose pushed out again into the air and I held up two fingers this time for TWO! 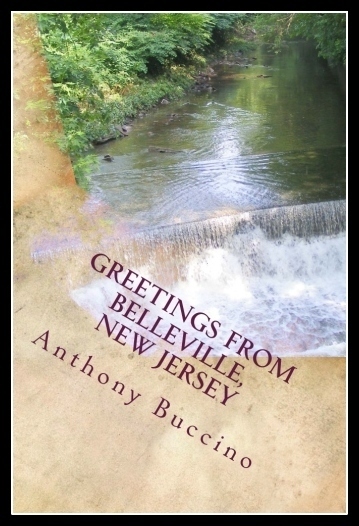 Starting to worry that my anti-learning to swim would be a hindrance in this western New Jersey river, the third time I called to Hiney as I thrashed and showed him three fingers beyond my red nose. We found a trading post not too far down the road where we bought some lunch and decided to head back. We never did find the nudist camp that day. We hiked back along the road and turned into the woods heading up the mountain between us and Camp Mohican. Strolling into camp, grown men asked us our troop number and who we were. Our small group had become popular in just one day. "Here they are. They are here," the men said. Imagine how popular we would be if we found the nudist camp! Man, oh, man. The grown ups were not happy with us. We had missed lunch. And when they saw our troop table was empty at dinner, they figured something was up. We were just kids. We didn't know you had to ask permission to go for a hike. We didn't bother to mention the nudist camp we never found, or the near mishap in the river. In fact, none of us mentioned the hike or the swim to our folks when they came to pick us up on Sunday, or ever after. How would grown-ups ever understand all the fun we had?